Step 1. 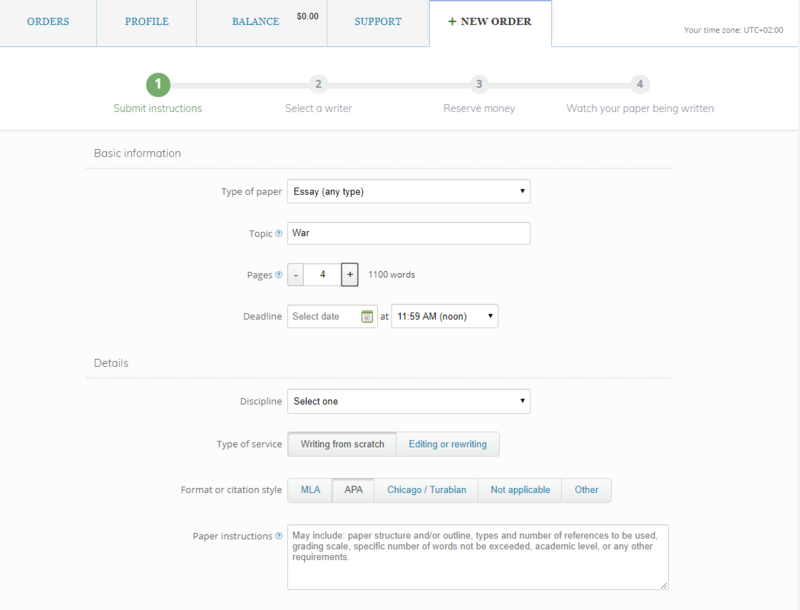 This is an order form where you specify the basic information about the paper you need and provide writers with more specific details like citation style and additional instructions. 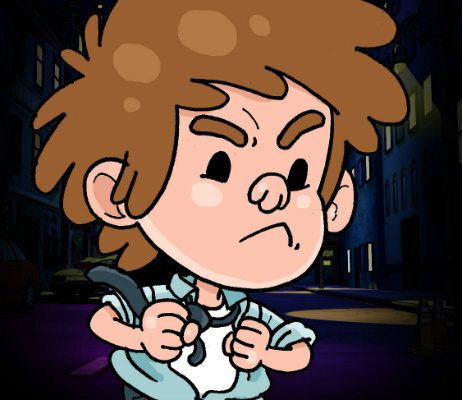 You can also request a specific writer at this stage. Step 2. Now it's time to decide who will write your paper in case you don't have any preferences. 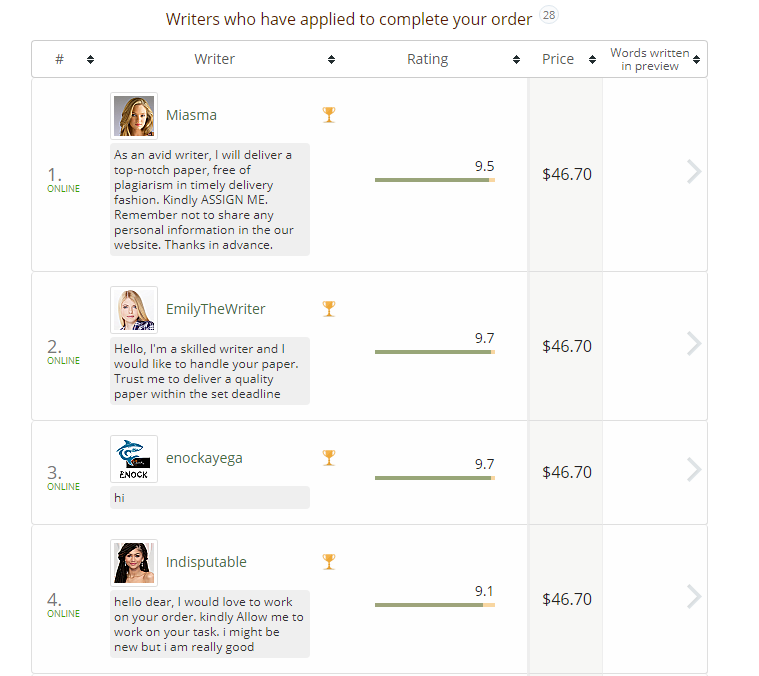 You will see a list of writers ready to complete your order. Choose one of them after studying their profiles. There is a transparent bidding process and you can choose the most suitable option to stay on budget. Step 3. Review the details of your order and reserve money. Note that you are not paying the writer on this stage. 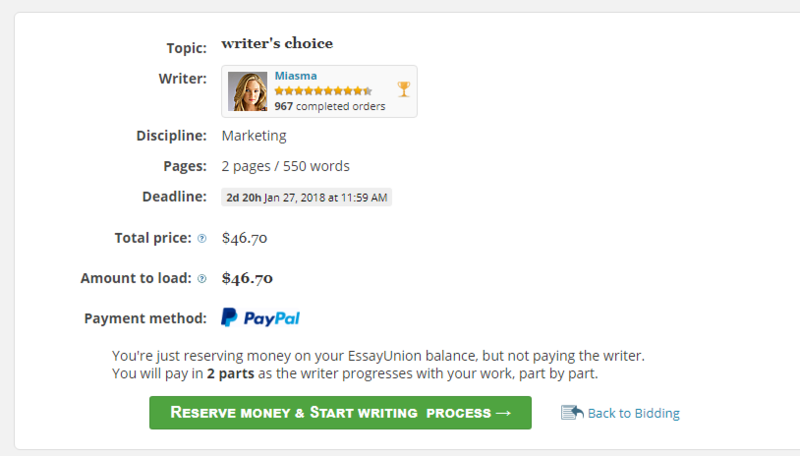 You will pay only after receiving a part of your paper and approving it. Step 4. Watch the process and communicate with the writer if necessary. Enjoy your free time while we take care of your assignment!